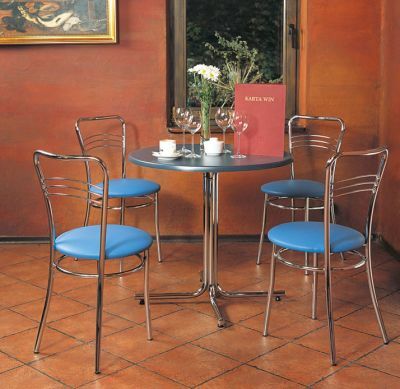 This bistro set is perfect for smaller cafes and dinners. The table comfortably seats four people and is very easy to maintain and store. Pick from a wide range in fabric, frame and leather options. 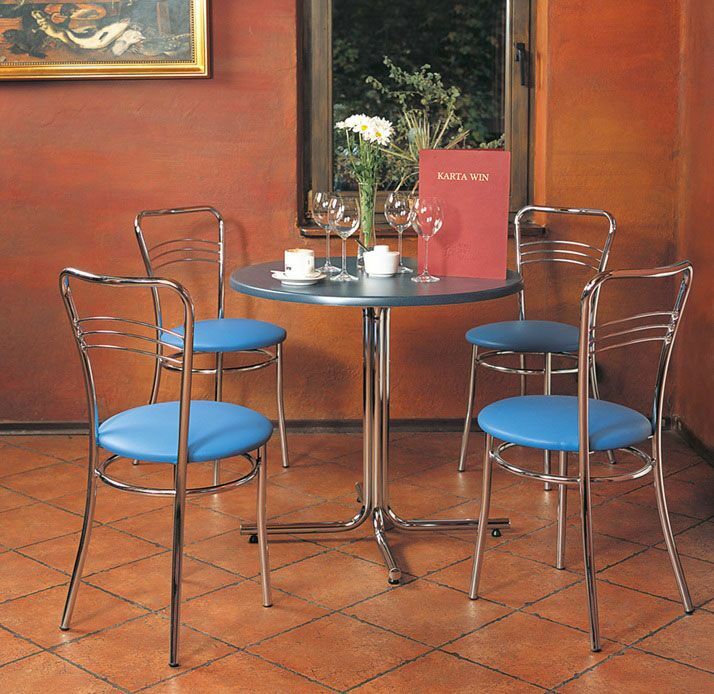 Argento bistro chairs are available in chrome or silver finish and with a colourful selection of artificial leather seats. The Argento chairs are marched with the Karina café table also available in chrome or silver. The price includes a 600mm diameter Werzalit laminate top to the Café table. 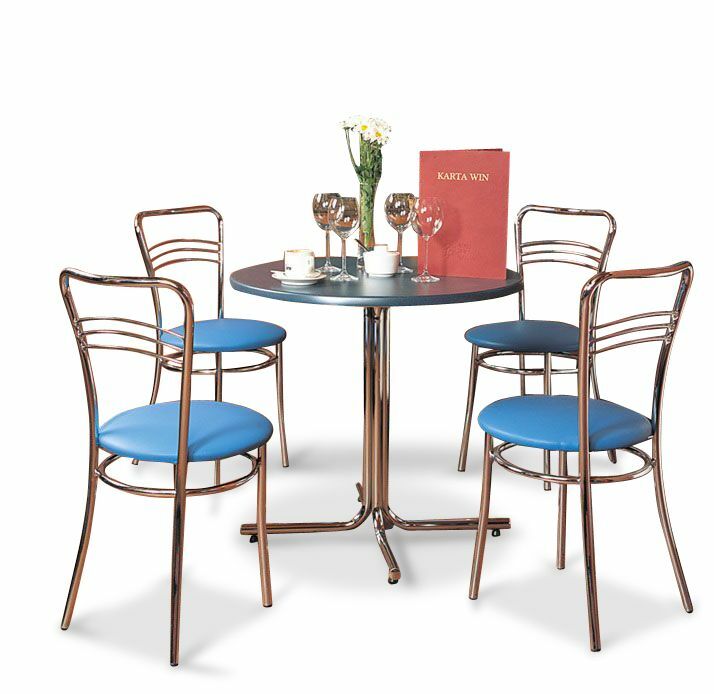 Please choose a top from the Werzalit section of our café table top line .This is a robust bistro set suitable for heavy duty commercial use. It is a made top order item and available on a lead time of 4-5 weeks from order. The Argento bistro chairs are delivered assembled and ready to use.